Welcome to the Scotland Motors Inc. secure credit application page. If you are ready to secure your financing, simply fill out the application below and click the Submit Button at the bottom. Scotland Motors Inc. will go to work securing a loan for you right away! WHAT DOES SCOTLAND MOTORS, INC. DO WITH YOUR PERSONAL INFORMATION? All financial companies need to share customers' personal information to run their everyday business. In the section below, we list the reasons financial companies can share their customers' personal information; the reasons Scotland Motors Inc. chooses to share; and whether you can limit this sharing. Who is providing this notice? 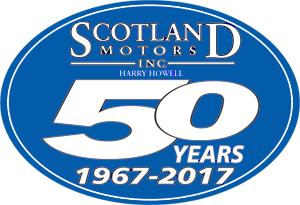 Scotland Motors Inc.
How does Scotland Motors Inc. protect my personal information? How does Scotland Motors Inc. collect my personal information? By submitting this application, you hereby grant Scotland Motors the consent to call and/or text you on your cellular/mobile device and/or your telephone with regard to this Application. You understand and agree that if we call and/ortext your cellular-mobile telephone, depending upon the type of plan or program you have with your telecommunication provider, you may incur a cost or charge for such a telephone call and/or text. You understand and agree that we may obtain telephone numbers for you (including, but not limited to, landlines and cellular/mobile) directly from you or another source. You also consent to receiving e-mails from Scotland Motors with regard to this Application.